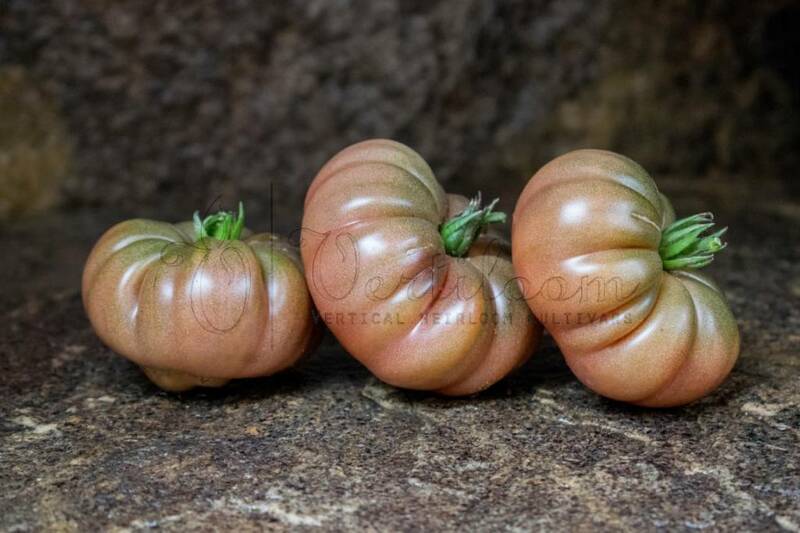 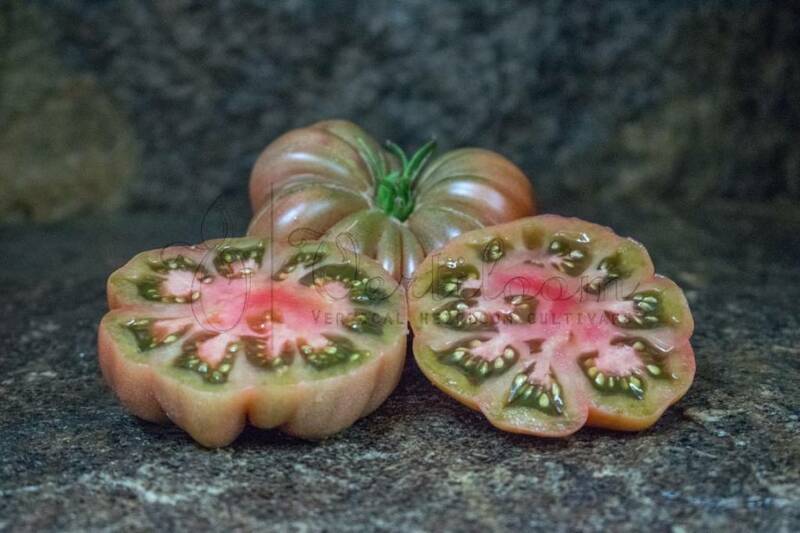 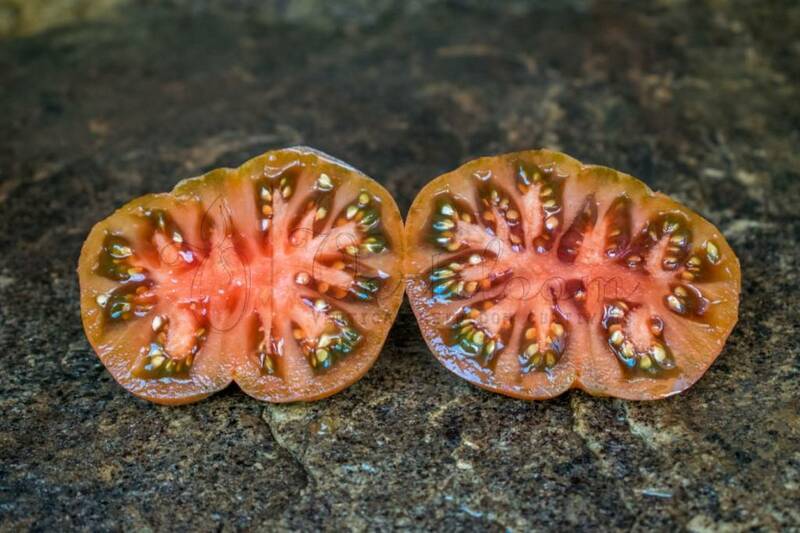 Recent variety from the U.S. A cross between Black Krim and Zapotec Pink Pleated, developed by Tim, a friend of the owner of CV Amishland Heirloom Seeds. 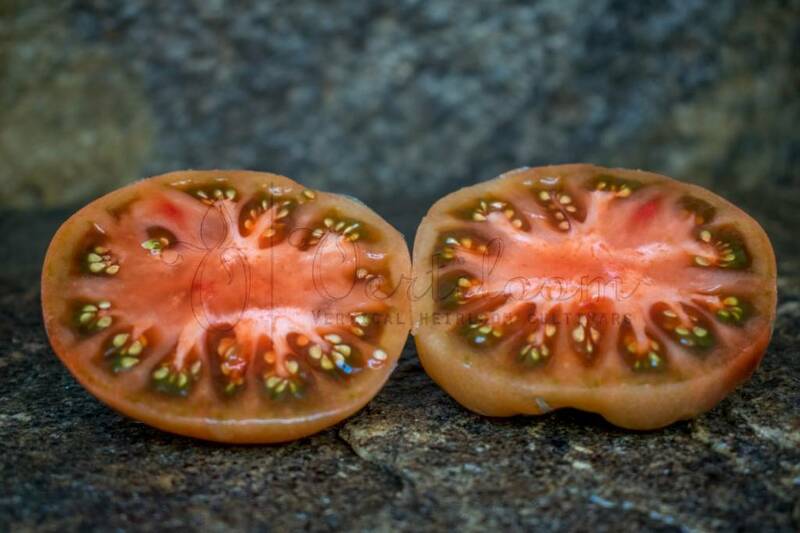 Presented to the public in 2008. 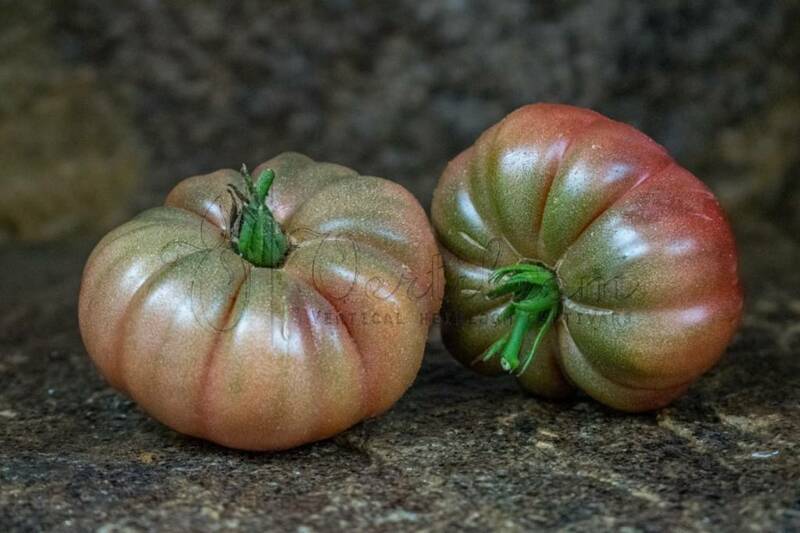 Flattened strong ribbed dark brown fruits with green shoulders. 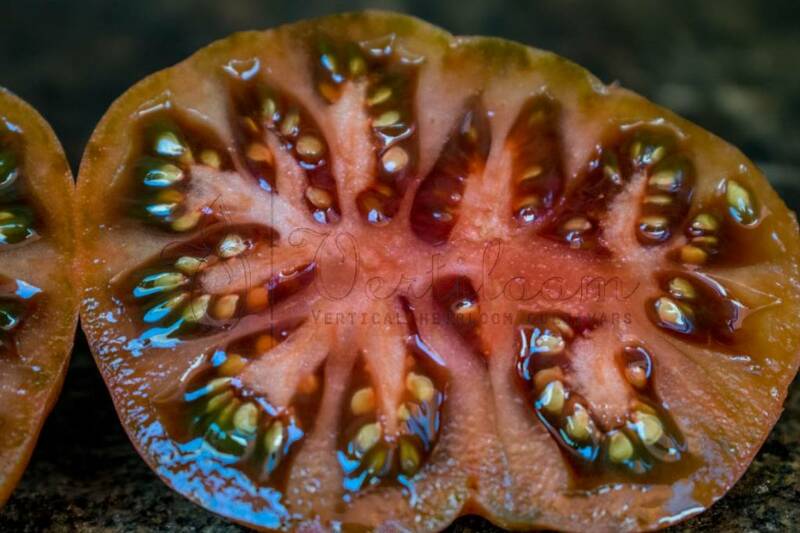 Dark flesh on the taste level of the best black tomatoes. 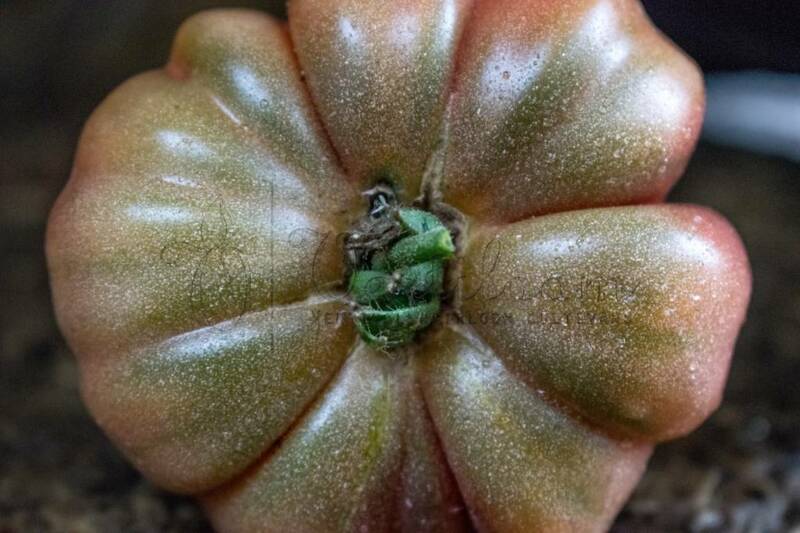 High yields in the second half of the season.